AUGUSTA, Ga. — It didn’t fall on Easter this year but Masters Sunday was still a kind of religious holiday in Augusta. As is the custom, church services were moved up earlier in the morning to allow locals time to get to the National or prepare all the fixings for a house party. One such gathering took place on the northern edge of Augusta at a tidy two-story house with black shutters identical to those on the National’s clubhouse. A daughter who is away at college drove home from Athens just to share the Masters with her parents. A dozen friends dropped by, everyone settling in the outside seating area in the backyard by the pool, where there is a big TV. The family mutts Murphy and Cooper scampered underfoot. It was a Masters party just like every other with one wrenching difference: a few miles away, the hosts’ son was on the way to winning the green jacket. Bill and Jeannette Reed and their daughter Hannah were not welcome at Augusta National. Patrick has made that much clear, the final twist of the knife in an estrangement that dates to 2012. So the Reeds gathered at the house their son lived in while leading Augusta State to two national championships. Memorabilia from his playing career is still scattered about: crystal trophies, photographs on the walls, a couple of commemorative golf bags. The bedroom he hasn’t stepped foot in for so long is still universally referred to as “Patrick’s room.” As the Masters played out the soundtrack was buzzing and beeping phones; Bill alone had awakened to 152 text messages. The Reeds lived and died with every shot on the back nine, hooting and hollering at the TV. When the final putt dropped, they clung to each other like survivors in a life raft. Struggling to catch her breath, tears streaming down her cheeks, Jeannette said, “I can’t believe my son is the Masters champion. It’s surreal.” It was a dizzying mix of pride and pain. Every family has its own dysfunction. The Reeds’ is key to understanding the newly minted Masters champ, a complicated man who is still trying to outrun his shadows. Patrick grew up in Texas, in a family of golfers. As Jeannette said earlier on Sunday, “My sister was an excellent player, my father was a big golfer — he’s in heaven enjoying a Manhattan watching his grandson contend for the green jacket.” Plastic golf clubs were among Reed’s first baby gifts. By age 9, he was taking lessons from Peter Murphy, a Hank Haney disciple. His boyhood hero Tiger Woods was sometimes at the same practice facility working with Haney, and Reed studied him carefully and modeled himself after a golfer who has always been a lone wolf. By the time he was 10, Reed was wearing trousers at tournaments, the better to prepare himself for the PGA Tour, while all the other kids wore shorts in the blazing Texas heat. Reed and wife Justine walk off the 18th green. 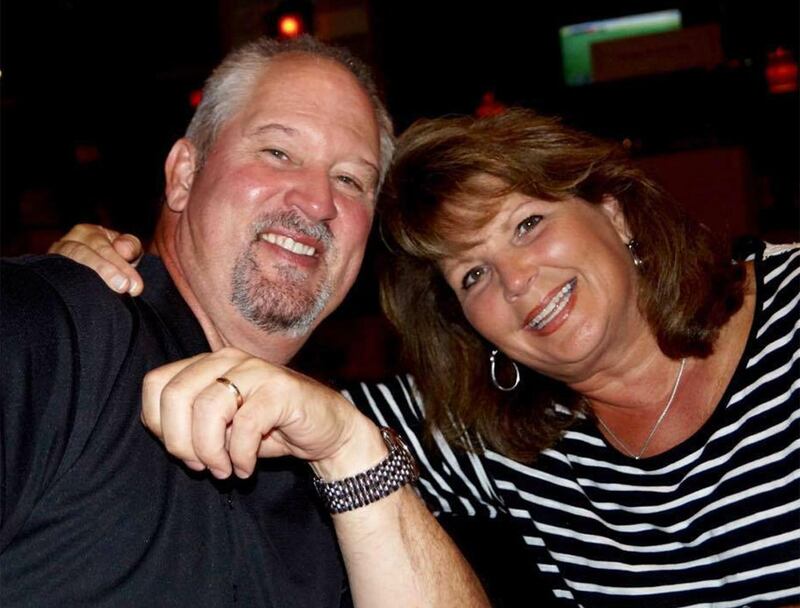 Bill worked in the health care industry, and the family moved to Baton Rouge for Reed’s high school years. He was a cocky kid who had no trouble backing up his brash words. In 2006, as a freshman, he helped University High win the state championship, and they repeated the next year as Reed shot a scorching 65 to take individual honors. Everyone who came in contact with the young Patrick was struck by his fierce determination. Georgia won a fevered recruiting battle, and Reed, a pudgy, baby-faced 17-year-old, joined a veteran team stacked with future pros Brian Harman, Russell Henley, Harris English, and Hudson Swafford. Having grown up a golf nerd with few friends, Reed cut loose at Georgia, resulting in an arrest for underage drinking and possessing a fake ID. He pleaded guilty to the misdemeanor and was put on probation, fined and sentenced to 60 hours of community service. Plenty of college kids make similar mistakes. What doomed Reed at Georgia was committing golf’s original sin. As Shane Ryan writes in his book Slaying The Tiger: “During a qualifying round prior to a tournament, according to sources close to the team, Reed hit a ball far into the rough. When he approached the spot, he found another ball sitting closer to the fairway, and was preparing to hit it when several of his teammates confronted him. Reed pleaded ignorance, but the other Georgia players were convinced he had been caught red-handed trying to cheat.” Ryan details a second alcohol-related offense during Reed’s freshman year, which hastened the end of his career at Georgia. He transferred to Augusta St. and moved back in with his parents but quickly squandered the fresh start with his immature, abrasive behavior. Stories are legion of how Reed rubbed his new teammates the wrong way, to the point that they considered taking a vote to kick him off the team. And yet Reed was such a blue-chip talent he pushed the team to unprecedented heights. He went 3-0 in the match play portion in back-to-back years to carry the Jaguars to consecutive national championships even as he was all but estranged from his teammates. Patrick and Justine wed in December 2012, when he was only 22. His parents had expressed misgivings about him getting married so young and urged him to slow down. The advice was not well received and Bill and Jeannette (and Hannah) were not invited to the wedding and Patrick cut off contact with his family, instead surrounding himself with Justine’s people: her brother Kessler took over caddying duties; her sister, Kris, served as a nanny for the Reeds’ daughter Windsor Wells; mom Janet regularly travels with the family, acting as a kind of chief of staff and helping with her granddaughter and grandson Barrett, who was born in December 2017. The whole brood usually shares a rental house and Patrick cooks most of the dinners, charring a variety of meats on the grill and occasionally whipping up his signature dish, shrimp Alexander, having pried loose the recipe from a chef at Morton’s, his favorite restaurant. Janet is not a moderating influence on the complicated family dynamics. In an on-the-record interview three years ago she had a series of disparaging things to say about Bill and Jeannette and the way they raised their son. Reed’s parents, Bill and Jeannette. Golf fans have picked up on the bad juju that has long followed Reed. Even though the Masters is in a town to which he brought so much golf glory, the crowd was never on his side on Sunday. 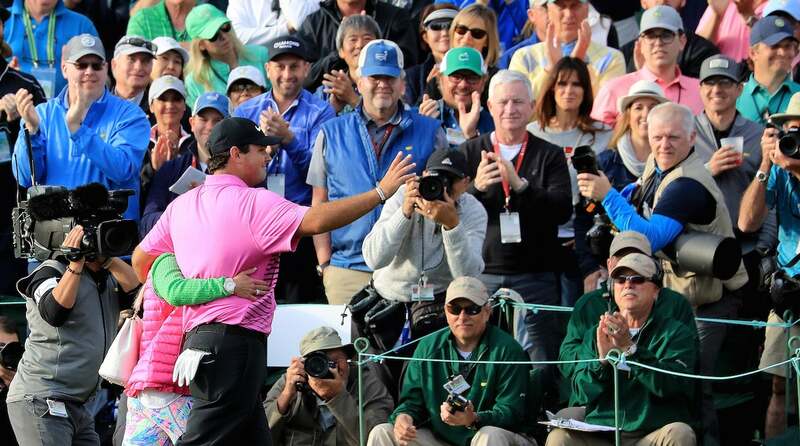 The feeling around the 18th green when he won was subdued to the point of being awkward. Across town, at the home of the parents of the Masters champion, there were also conflicting emotions. “Of course we’re so happy for Patrick,” Jeannette said. She started to add something else but had to stop to cry a little more.